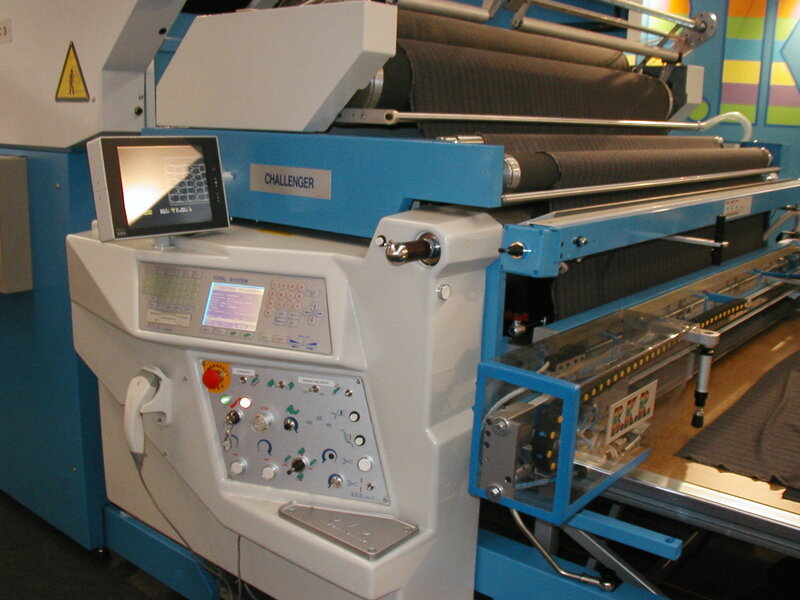 Thanks to the exclusive feeding system, the Challenger spreader, allows to spread all of the types of fabric freeing it from the tensions accumulated during the rolling operations. The Feeding system is composed by a Pre-Feeding system and by a Final-Feeding system. 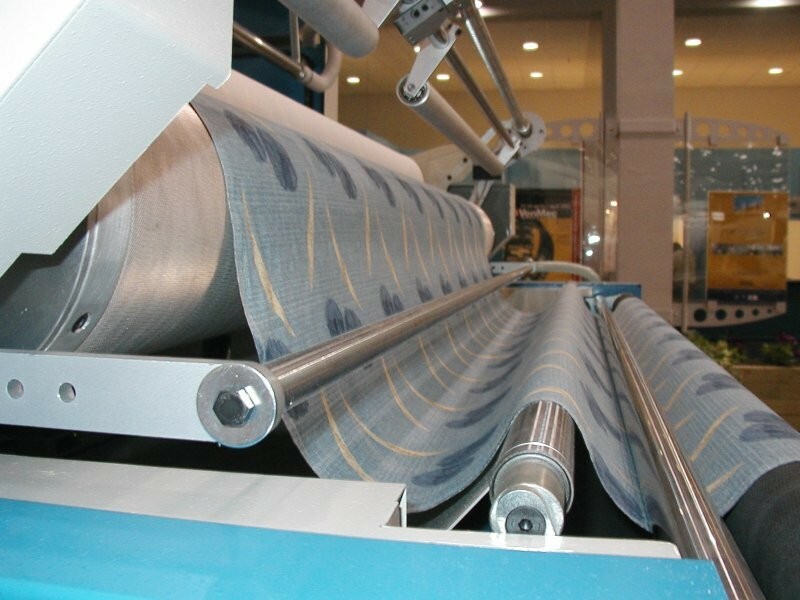 The Pre-Feeding system, is made by the cradle where the roll leans phisically, while Final-Feeding is constituted from a roll that distributes the fabric on the table. Thanks to the mechanical independence between the two systems and to the electric control of the same, the system maintains a lazy-loop that allows the fabric to get back to it's originial tension before beeing spreaded on the table. 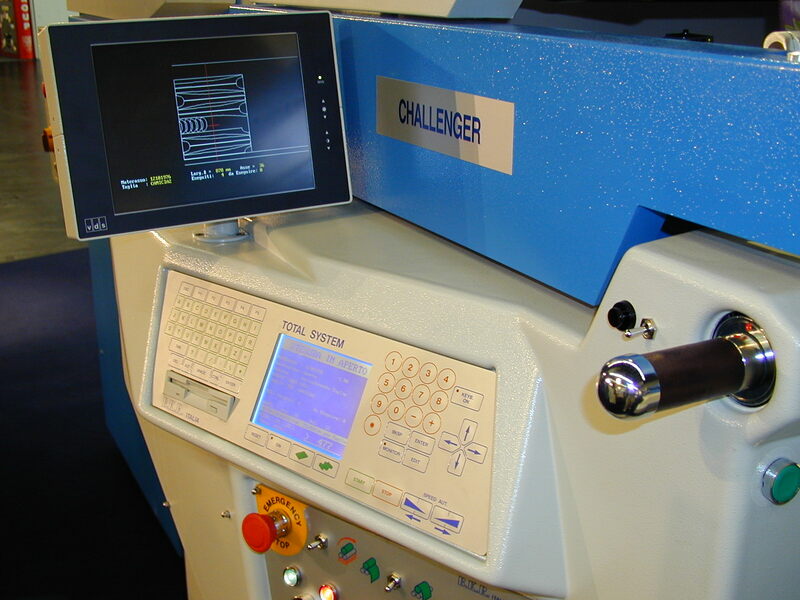 The wide range of accessories makes the Challenger customizable to customer requirements. The linking with the loaders Mac 3, Mac 5, Mac16 or Mac 32 guarantee a change easy and swift rag totally in automatic. 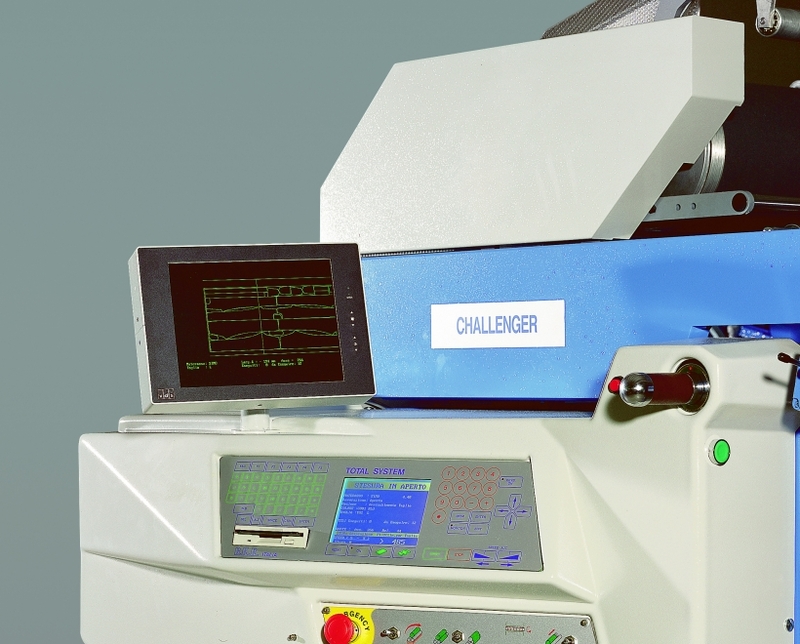 In its standard version, the Challenger comes with a built-in memory program, so the desired spreading lenght can be entered trough a very easy interface or can be acquired by a self-learning procedure. Last but not least, a special program is available to help with lay planning by colours and sizes, in this case, the machine can be connected to a personal computer to receive the spreading data from an external source. A remote computer can be used to transmit dato to different machines so that a single person can control all the spreading lines. 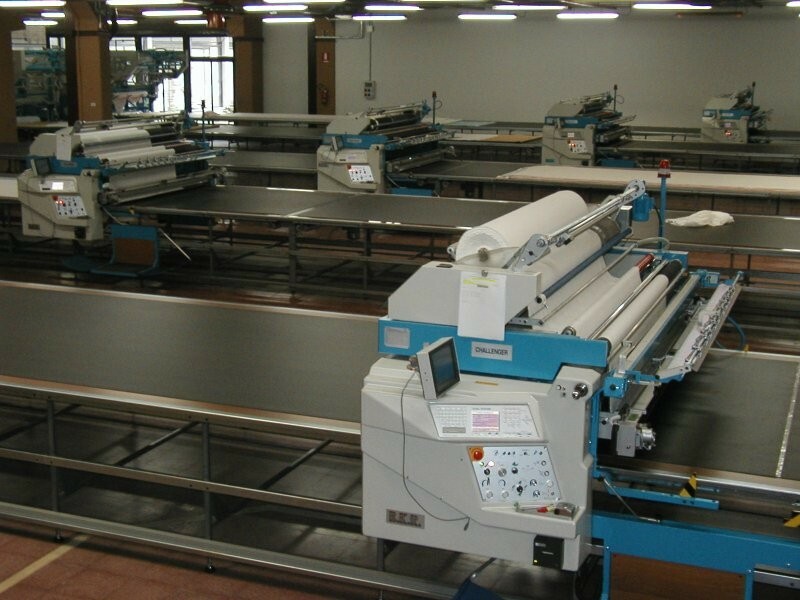 Using this information, the Challenger works without any catcher, automatically starting from any point on the table and automatically changing the fabric rolls when the number of required plies have been spreaded.